The Alberta government today re-opened both lanes on the Highway 587 Garrington Bridge, which was washed out during flooding in June. On average, about 1,100 vehicles cross the bridge every day, connecting Albertans to their homes, schools, businesses and the rest of the province. 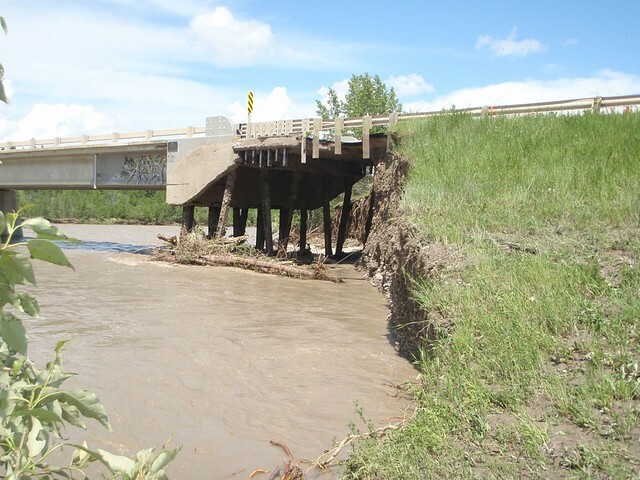 This bridge serves residents of Red Deer County, Mountain View County, Sundre, Olds, Caroline, Bowden and Innisfail. On June 21, the Red Deer River rose quickly. By June 22, the approach road and abutment at the east end of the Garrington Bridge had washed out. Crews and contractors worked hundreds of hours on major repair work to rebuild the approach to the bridge and build up the road foundation. Additional work on the bridge still to be completed includes new riverbank protection works upstream to mitigate potential damage from future flooding, seeding the disturbed areas and installing drainage control measures. This work is underway, does not impact the safe operation of the bridge deck for motorists travelling on it, and will be completed in November. To date, of the 985 kilometres of provincial roads closed due to flood damage, 857 kms (87%) have been reopened. Approximately 200 bridges impacted by the June flooding have been inspected, with the majority of these bridges receiving damage. Most of the major bridges have been either fully or partially re-opened, with work continuing. Our government was elected to keep building Alberta, to live within its means and to fight to open new markets for Alberta’s resources.